A period of preparation for Christ’s birth, Advent, as a time of extra prayer, can be a source of great grace; oftentimes, however, many do not take advantage of these benefits. To aid yourself in making the most of this liturgical season, commit to attending an hour of Eucharistic Adoration. St. Mary’s by the Sea begins it’s monthly 24-hour Adoration of the Blessed Sacrament this First Friday, December 2, after the 8am Mass, continuing through the night and ending before the 8am Mass on Saturday, December 3. Thank you to all who have committed themselves to First Friday Adoration. Without you, our 24-hour First Friday Adoration program would not be possible. 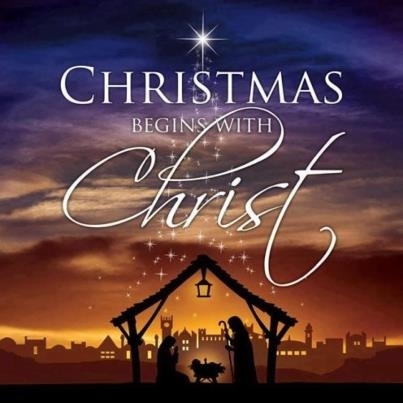 Advent devotions including the Advent wreath, remind us of the meaning of the season. Traditionally, Advent wreaths are constructed of a circle of evergreen branches into which four candles are inserted, representing the four weeks of Advent. Ideally, three candles are purple and one is rose, but white candles can also be used. The use of the Advent Wreath is a traditional practice which has found its place in the Church as well as in the home. The blessing of an Advent Wreath takes place on the First Sunday of Advent or on the evening before the First Sunday of Advent. When the blessing of the Advent Wreath is celebrated in the home, it is appropriate that it be blessed by a parent or another member of the family. Beginning next weekend and continuing through the month of December, we will be accepting baby gifts for our local crisis pregnancy center. Please consider a Christmas gift for these precious babies. Items will be used in various programs to help young mothers who have chosen life for their babies. A crib will be in Fr. Johnson Hall during the month of December for this collection. If you prefer, a monetary donation in an envelope marked “Christmas Crib” would also be helpful. Thanksgiving is not only a day for turkey and cranberry sauce, parades and bowl games, but also a day to reflect on God’s Blessings. On Thursday, Nov. 24th, you may bring any food item(s) that will be served at your family dinner to be blessed at the 9:00 am Mass. What a beautiful way to celebrate this holiday. Feel free to bring any or all of your meal to be blessed. For example: A basket filled with items you will serve at dinner, a bottle of wine, a pie, or any item(s) you wish to bring. Children can bring chocolate turkeys, or candy they may receive for this holiday. In addition, all parishioners who attend this Mass will receive a blessed loaf of bread. Please join us for this celebration and give thanks for all of God’s blessings. All donations given at Mass this Thanksgiving (Thursday, 11/24) will go to our St. Vincent de Paul Society for the purchase of food that they give out to the needy, including Thanksgiving baskets. 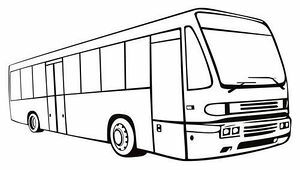 If you would like to bring canned food, you may do so as well and place it in the containers located in the vestibule. Mass of Remembrance On Saturday, November 12th at the 8:00 am Mass, we will honor our dearly departed brothers and sisters who passed away from Nov. 2015 to Nov. 2016. If you have a loved one who’s funeral was held here during that time, please plan to attend the Mass. Their names will be displayed on the Altar, and you will be given a special keepsake with their name on it. Afterwards, there will be a reception held in the Family Room with light refreshments. Remember to invite all your family and friends. (10) Masses Offered in Nov. for All Souls All Souls envelopes are available in the pew racks. Write the names of your deceased loved ones for whom you would like prayers said for, along with a donation, and put it in the collection basket. Throughout the month of November, (10) Masses will be celebrated for all of those designated souls. The Knights of Columbus will be outside after each Mass accepting donations for their “Wheelchairs for Veterans” campaign. For only $150, they can provide one wheelchair for a veteran. Last year, your donations provided 36 wheelchairs to deserving Veterans at the local VA Hospital. So please stop by their table and give your donation to this worthwhile cause. 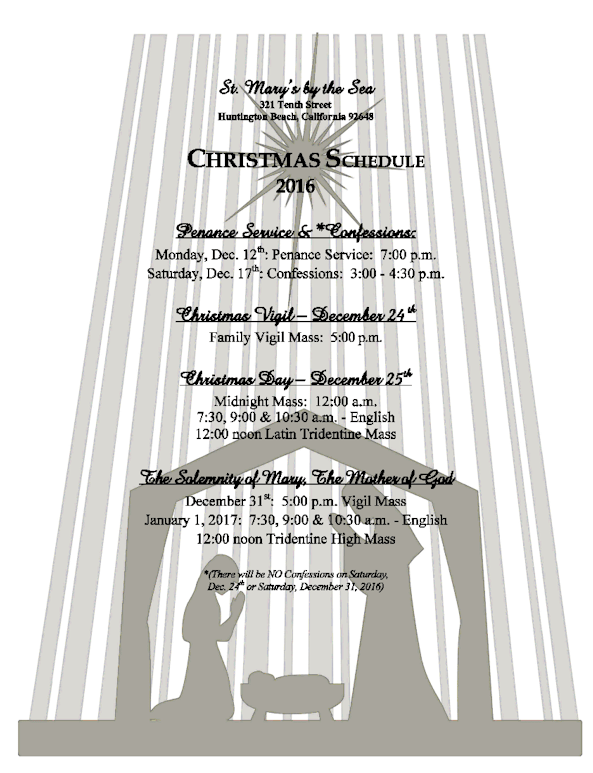 If you would like to purchase a Traditional Latin Mass Calendar for 2017, please contact Judith Clark at (714) 963-5757. She will be placing an order Nov. 14th, with delivery in early-December. These Traditional Catholic Calendars are in full color with a Special Guide, Summary of Truths of the Catholic Faith, Prayers and Psalms Section and Patron Saints – useful to all Catholics. There will be a Men’s Silent Retreat Jan. 20-22, 2017 at El Carmelo Retreat House in Redlands, CA. This is a great reprieve from the hoopla of the Christmas holidays and year’s end; some good one-on one quiet time to spend with the Lord. The retreat is all inclusive pricing. Six meals, two night stay is $198 for a private room and $170 for a two person room. A $50 deposit is required. There are full information flyers in the vestibule of the Church. 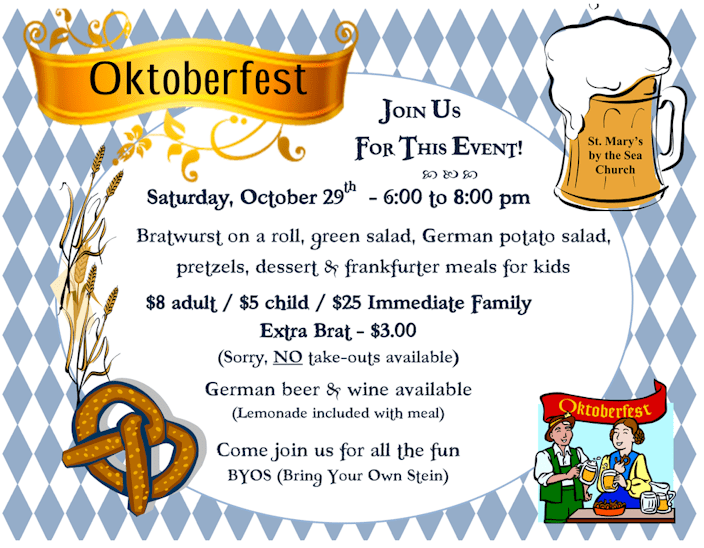 Contact Dale Schiering, parishioner, for additional information at (909) 256-9003. Would you like to have a beautiful statue of our Blessed Mother in your house for approximately one week? She will bring you many blessings. The Legion of Mary offers this service. We will take her to your home and pick her up one week later. Interested? Then please call Susan Hawley at (714) 374-0400. Retreat starts with dinner on Friday evening and concludes with lunch on Sunday. This Thursday, September 29th at 7:00pm, Catherine Lukehart, the Homeless Coordinator for Huntington Beach and Lt. Rodriguez, who is a member of the H.B. Police Homeless Task Force, will speak here and have a question and answer session about the homeless problem in our city. The meeting will be held in Fr. Johnson Hall. All interested parishioners are invited to attend. Registration is now open for our Adult RCIA program and children’s CCD program. Please come to the Office Monday through Friday (9am-12pm /1-5pm) to complete a registration card or contact us at (714) 536-6913, x-112 if you have any questions. CCD will begin the week of September 11, 2016. 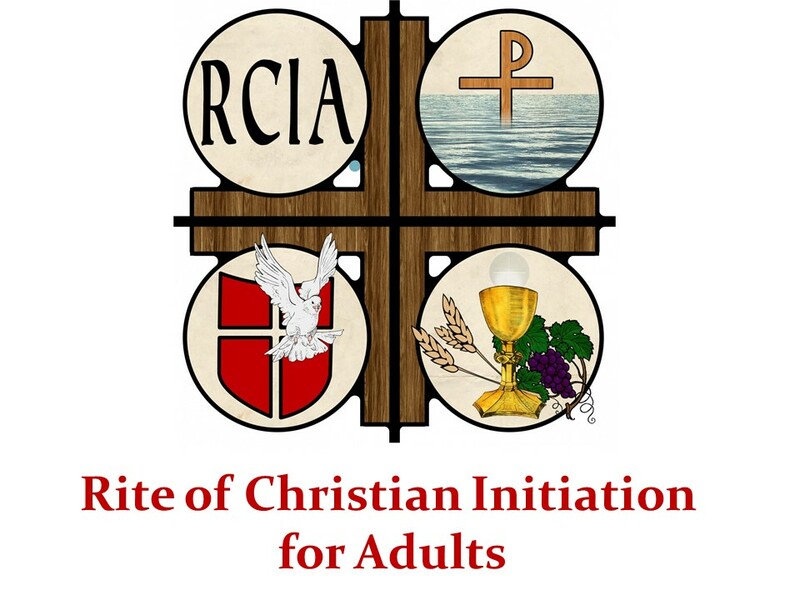 RCIA Orientation/Registration will be on Monday evening, August 29th at 7:00 pm. There will be a book charge of $25 for the Catechism of the Catholic Church, unless you have your own copy. Tomorrow, Monday, the Assumption of the Blessed Virgin Mary is NOT a Holy Day of Obligation. We will have Mass at our regular time of 8:00 am. The following days, however, August 16 and 17, we will NOT have morning Mass. Since we do not have a Priest available, we will instead have a Communion Service at 8:00 am with Deacon Tom Concitis. Save the Date…For Saturday, September 3rd! 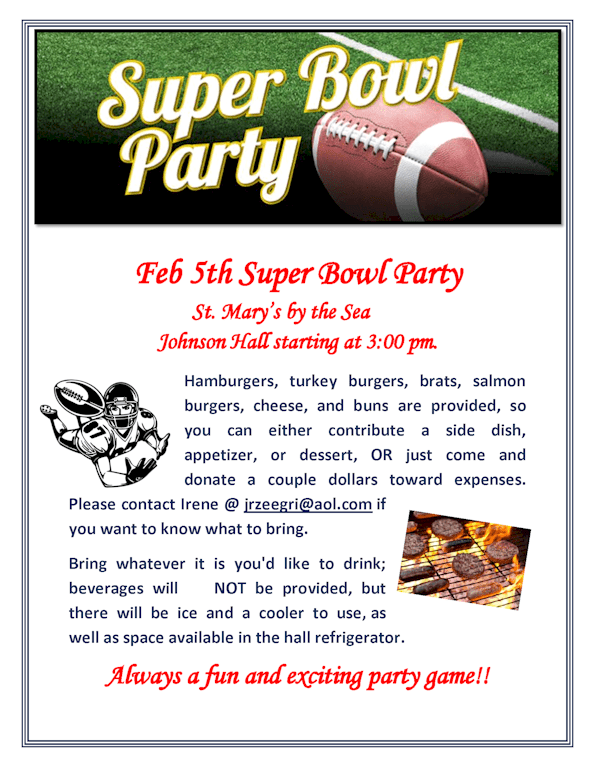 St. Mary’s by the Sea is now accepting registration for those who wish to attend R.C.I.A. classes. The course will begin in September 2016 and end at the Easter Vigil in 2017. Classes will be held on Monday evenings from 7:00-8:00 pm in the Fr. Johnson Hall. The book we will be using is the Catechism of the Catholic Church. These may be purchased here at a cost of $25.00. I am a Catholic and have received all my sacraments, but would like to deepen my knowledge about our faith. Can I attend these classes, also? Certainly! Anyone who would just like to learn is more than welcome to attend the class as a refresher course.